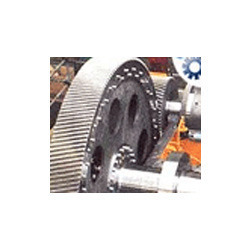 Our valued clients can avail from us the best quality range of Industrial Gears. These Industrial Gears manufactured by making use of superior grade raw materials such as stainless steel, carbon and metal alloys used to enable these gears to function with uniform speed. Due to their superior functionality, these gears assist to reduce the friction of machines and for generating torque motions. Bevel Gears are useful when the direction of a shaft's rotation needs to be changed. They are used mostly in situations that require power to be transmitted at right angles (or applications that are not parallel). They are usually mounted on shafts that are 90 degrees apart, but can be designed to work at other angles as well. 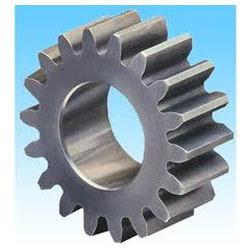 Zerol bevel gears are very similar to a bevel gear only exception is the teeth are curved: the ends of each tooth are coplanar with the axis, but the middle of each tooth is swept circumferential around the gear. Zerol bevel gears can be thought of as spiral bevel gears (which also have curved teeth) but with a spiral angle of zero (so the ends of the teeth align with the axis). Hypoid bevel gears are similar to spiral bevel but the pitch surfaces are hyperbolic and not conical. 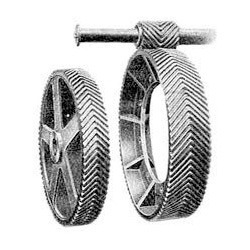 Pinion can be offset above, or below,the gear center, thus allowing larger pinion diameter, and longer life and smoother mesh, with additional ratios e.g., 6:1, 8:1, 10:1. In a limiting case of making the "bevel" surface parallel with the axis of rotation, this configuration resembles a worm drive. Spur Gears or straight-cut gears are the simplest type of gear. Spur gears are by far the most common type of gear and with the exceptions of the "cog" the type of gear that has been around the longest. Spur gears have teeth that run perpendicular to the face of the gear. They consist of a cylinder or disk with the teeth projecting radially, and although they are not straight-sided in form, the edge of each tooth is straight and aligned parallel to the axis of rotation. These gears can be meshed together correctly only if they are fitted to parallel shafts. Being a certified firm, we are affianced in offering an extensive range of Internal Gears. These are precisely manufactured as per the set industry norms by utilizing high class raw materials and advanced machines under the experienced professionals' guidance. 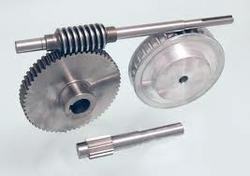 The offered gears are available in plethora specifications to meet the exact needs of the clients. Besides, these are available with us at reasonable prices. We are enlisted amongst the reckoned names in the industry, engaged in manufacturing and supplying quality assured array of Face Gears. 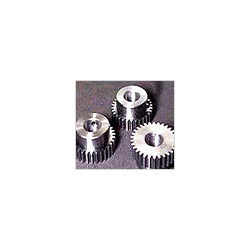 These gears are highly efficient and durable in nature and are utilized in varied industrial applications. They are sturdy in nature performs even rotations and are acclaimed for dimensional accuracy. Moreover, we offer them with customized solutions. 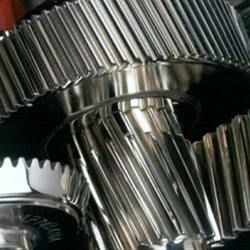 We Dee - Kay Gears are a known enterprise, which is engaged in delivering Cylindrical Gear to the clients. The offered range of Cylindrical Gear is made utilizing optimum grade raw material and innovative technology in strict conformation with the international quality norms and standards. In addition to this, the offered range of Cylindrical Gear are available with mechanical flexibility and compensation of angular, parallel and axial misalignment of the connected shafts. We offer a wide collection of Double Helical Gears.These gears are fabricated using fine quality alloy grades and latest technology. Hence, our range has some of the prominent features like high ductility, longer service life, dimensional accuracy and ability to resist corrosion. Our customization facilities enables our gears to be extensively used in engineering and cement industries. 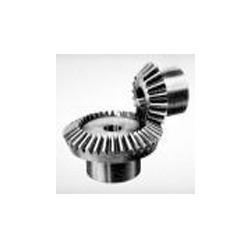 We are one of the most eminent names of the market engaged in offering genuine quality Bevel Gear to the customers. These Bevel Gears are designed to perfection by a team of highly skilled professionals, at our sophisticated production unit. In addition to this, these products are used for power transmission at different angles in an efficient manner. 1 Module to 20 Module or 32 D.P. To 1 D.P. Face Width 1" to 10"
Double helical gears, or herringbone gear, overcome the problem of axial thrust presented by "single" helical gears by having two sets of teeth that are set in a V shape. Each gear in a double helical gear can be thought of as two standard mirror image helical gears stacked. This cancels out the thrust since each half of the gear thrusts in the opposite direction. Stable double helical gears can be directly interchanged with spur gears without any need for different bearings. The Helical Gears and industrial helical gears are those type of gears having the teeth at any angle other than 90 degrees to the face of the gear. We at Malkar is having special set up for fine pitch gear & pinions production on mikron gear hobbing machines. 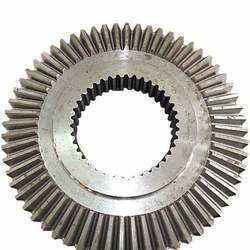 Malkar has specialization in manufacturing high helix angle gears for speedo drive. Assembly used speedo meter drive for two wheeler as well as four wheeler. e offer a wide range of industrial gears, industrial helical gears, helical spur gears, helical pinion gears and automotive gears in standard & non standard module / DP profiles as per customer specifications. We are having multi ribbed gear grinding machines used for mass production of gears where we can produce industrial automotive gears in quantity at lowest cost. All industrial automotive gear profile are checked on CNC lead & profile tester as per din standard accuracy. We manufacture power transmission gears like worm gears, which are used in power transmission catering to the requirements of diverse industries segments. These power transmission gears are manufactured from high-grade alloy steel and phosphorus, bronze. We manufacture these power transmission gears for many global organizations. Spiral Bevel Gear are made from very high quality raw material which ensures hassle free work performance at its user end. Our product range is known for some salient features such as corrosion resistant finish, sturdy construction & durability. We manufacture Helical Sugar Mill Gears, these are used sugar mills as they are used in various machines for crushing of sugarcane and producing sugar crystals. These helical sugar mill gears/industrial gears can easily withstand the excessive wear and tear and are also highly accurate. Its capacity is upto 8500mm outer diameter, 75 Module (Multi Arms). We are one of the leading manufacturer and supplier of High Precision Gear as a reputed industry, we offer a high quality range of High Precision Gear. This gear is fabricated at par with market prevalent norms utilizing supreme class raw materials and cutting edge technology to ensure its excellence in quality. Backed by rich industry experience and knowledge, we have been able to offer a broad range of Bull Gears. Offered gears are precisely manufactured by our skilled teams utilizing high grade components and pioneering technology. Provided gears find application in press, rolling mills, automotive, conveyors, tractors and earthmovers. Furthermore, these can be availed in numerous technical specifications to our customers. Marine uses gears in various vessels like fast ferry boats, luxury yachts, frigates and work boats etc. 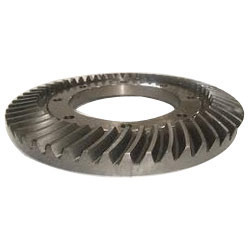 These marine gears are usually more powerful and they meet critical applications. 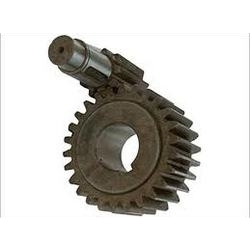 Types of marine gears used are Planetary Gears, Worm Reduction Gears and Helical Gears. As we are considered one of the leading companies, we are also engaged in manufacturing and supplying a quality range of bevel / miter gears to our valued clients. 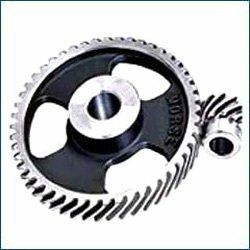 These gears consist of high tensile strength and high speed to offer optimum level of performance. The gears can handle heavy loads and are easy to use. The gears are extremely efficient and needs less maintenance with great results. We are offering these gears at reasonable rates. 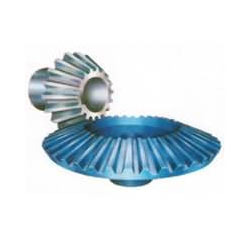 Being one of the most reliable names in the industry, we are engaged in manufacturing and supplying a range of Differential Gear These gears are widely appreciated for precise designing and efficiency. 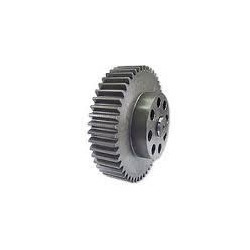 We do not compromise in terms of quality and so we use high grade raw material procured from the trusted vendors of the industry for the manufacturing of these gears that assures our clients with durability. We offer these gears in an affordable range.